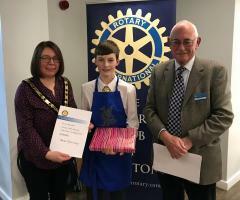 James Mockridge, a student of Queen’s College excelled to win first prize in the Rotary Young Chef competition for 2019, facing stiff competition from students across other local schools. 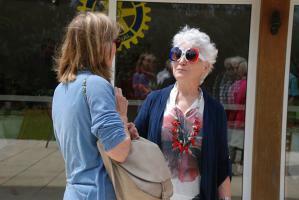 The Rotary Club of Taunton supports many local charities and good causes. You can support the Club's fund raising by making a donation to the Club's Charity Trust Fund. Click for more details on how to DONATE. 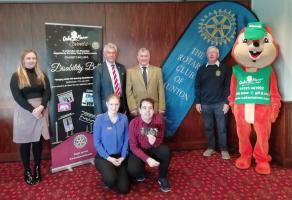 Taunton Rotary Club once again sponsors Somerset's Inclusive Disability Ball which is being held at Oake Manor Golf Club on 17th July. Last year this event was an amazing 'sell out' success. Get your tickets now. I am delighted to take up the position of President of the Rotary Club of Taunton for 2018-19. The Club is a lively, friendly and active Club and I hope you will explore our website to see many of the wonderful things we do which benefit our local community. We are proud of our 95-year history of fellowship and service to the Taunton area and worldwide community and we welcome new members who wish to contribute to our aim which is simply, 'Service above Self'. Our Club plays an important part in the lifeblood of our community and organises many fundraising events to support local and international charities. We organise activities that help young people achieve their aspirations and provide financial assistance to those in need. Over the last few years we have financially supported local and national organisations and individuals including; Dorset and Somerset Air Ambulance; Children's Hospice South West; Compass Disabilty; Reminiscence Learning; Rotary Foundation; World Water Works Emergency Boxes; Royal Institute for the Blind; Royal National Lifeboat Institute; Tectona Trust; St John Ambulance; Taunton Food Bank; Taunton Festival of Arts; Musgrove Park Hospital Beacon Centre; Taunton Pensioners' Christmas party and individual students working and volunteering overseas. Thank you for visiting our web-site. Whether you are an individual or represent a company, read about our fundraising events, find out what we do and explore how you might be able to get involved or help us. The Club welcomes membership applications from individuals and, companies can join through our corporate membership scheme. The Club meets weekly at Taunton Racecourse. 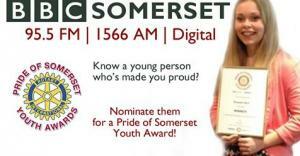 Get in contact, come along and find out for yourself what we do. Speaker: Alan Hooper - "With humour, anything is possible!" Taunton Campus of Bridgwater and Taunton College.